Today’s post is an interview with Dustienne Miller, CYT, PT, MS, WCS. Dustienne founded Your Pace Yoga. Find out more about Dustienne here. What kind of folks should practice your DVD’s? The DVDs are appropriate for anyone looking for a gentle, beginner yoga program. I have several students who use the home programs for general back and hip health who don’t have any complaints or history of pelvic pain, even though they are designed with pelvic floor dysfunction in mind. What is the difference between the two of them? Relieving Pelvic Pain DVD is designed to calm the nervous system and encourage relaxation of the pelvic floor muscles and attachments to the pelvic girdle (adductors, hamstrings, hip flexors, quadrates lumborum, latissimus dorsi, etc). Optimizing Bladder Control-Strengthening the Pelvic Floor is designed to use the breath in coordination with the pelvic floor muscles and other core musculature to enhance the functional strength and coordination of the core. If someone is experiencing pain, start with the Relieving Pelvic Pain and progress once the strengthening component is introduced into the rehab process to the strengthening video. There is an additional quieting flow on Optimizing Bladder Control recommended for urge incontinence. For folks with pain (bladder, bowel, coccyx, sexual, endometriosis, fibromyalgia) start with the Relieving Pelvic Pain DVD. The Optimizing Bladder Control -Strengthening the Pelvic Floor DVD is valuable for women postpartum (any age), men post-prostatectomy, and anyone looking to increase coordination and prevent or improve incontinence. Do you recommend any kind of frequency or duration for performing them? Like any exercise program, a regular practice is recommended. I recommend practicing 5-7x/week. The DVD flows are between 15-20 minutes, allowing the nervous system to integrate the myofascial changes and fine tuning coordination during the rehab process. Once the student has returned to their optimal daily function, the practice can be cut back to maintenance as needed, but I always recommend daily movement, especially when daily life requires excessive sitting or repetitive patterns (wearing/carrying baby). It’s a smart idea to feed the body a variety of movement on a daily basis. Who should NOT do the DVD’s? I recommend working with a physical therapist or other qualified health care practitioner while working with the DVDs. If your PT helps figure out that a certain movement flares pain, you can work within the parameters that your health care professional establishes as temporary guidelines. As your pain decreases you can increase the amount of movement you are doing. Are there any red flags that folks should be aware of when doing your DVDs? If ANYTHING increases pain or numbness, modify the movement. If that posture still increases pain or numbness, switch to a posture of comfort until the next movement. My yoga DVDs are not meant to be used with the mantra “No pain, no gain”. The purpose of using these DVDs while healing pelvic pain is to introduce movement that is easeful and comforting and reprogram the brain that movement is safe for the body. As the body continues to feel more ease, the movement vocabulary can increase gradually as tolerated. If balance is an issue, especially in the strengthening DVD, a chair or wall can be used for assistance. What inspired you to create the DVD’s? 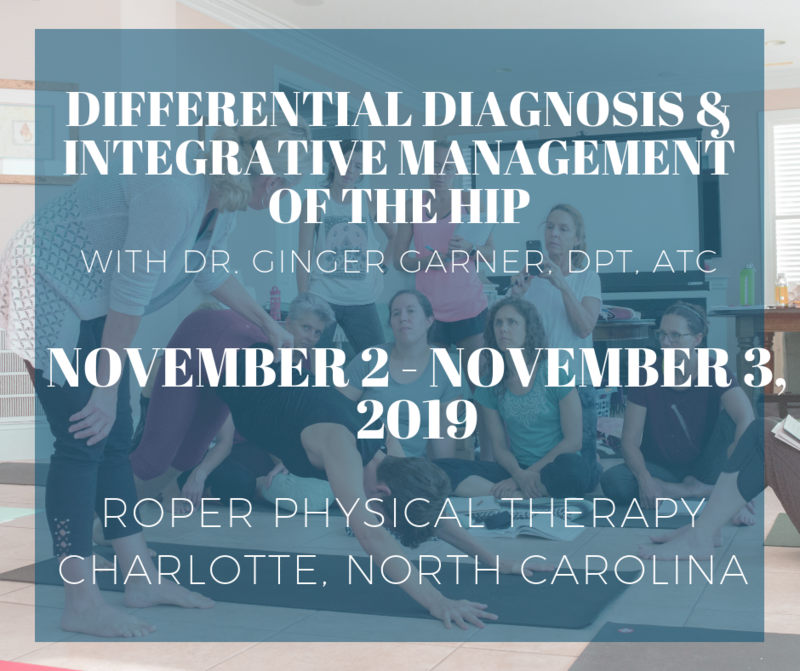 A few years ago, I was assisting a continuing education course that my colleague, Stacey Futterman, was teaching to pelvic floor physical therapists. A student asked about yoga recommendations and Stacey asked me to answer the question because she knew about my yoga teacher background. When I got home I did an internet search for yoga DVDs specific to pelvic floor dysfunction. Realizing that there wasn’t a yoga program specifically designed for pelvic floor dysfunction, I decided to create the Relieving Pelvic Pain DVD. It was exciting to offer my patients with vulvar pain, endometriosis, interstitial cystitis, etc a safe place to start with yoga and provide a home program that would augment the treatment in the office. It was much better than the stick figure drawings I had been handing out. Two years later, I was able to film the pelvic floor strengthening DVD and now the customers who are ready to move to strengthening are able to continue with the series. It’s been a real pleasure to hear from customers around the world who are able to use my programs as an adjunct to traditional medical care. The two DVDs are available to order on my website – www.yourpaceyoga.com. In addition, my website hosts a blog and free guided meditation. Dustienne Miller, CYT, PT, MS, WCS, is a board-certified women’s clinical health specialist recognized through the American Board of Physical Therapy Specialties. Prior to establishing her clinical practice in downtown Boston, Flourish Physical Therapy LLC, she lived in beautiful Sonoma County and the vibrant city of New York. While based in NYC, she had the pleasure of working as a dancer in musical theatre for several years, most notably with the National Tour of Fosse. Dustienne enjoys teaching yoga, having earned her certification through the Kripalu Center for Yoga and Health in Massachusetts. Dustienne’s DVD’s are such a valuable resource! I recommend them regularly to my clients and workshop participants. I don’t know what we’d do without them…there is nothing out there like them! Thanks Dustienne; and thanks again, Ginger, for always sharing such inspiring, valuable & high quality information on your blog! Thank you Shelly for your continued support and inspiration to reach higher! Can’t wait to feature your new yoga for pain relief DVD’s coming out soon!